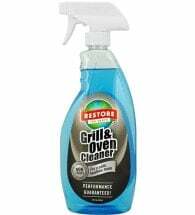 A powerful, natural cleaner! 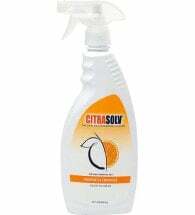 Citra Solv has all the cleaning and degreasing power of harsh chemical solvents — without the harsh chemicals and petroleum distillates! 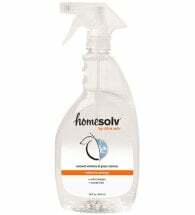 Cleans tough household grime while filling your home with a sweet, juicy and refreshing orange scent. 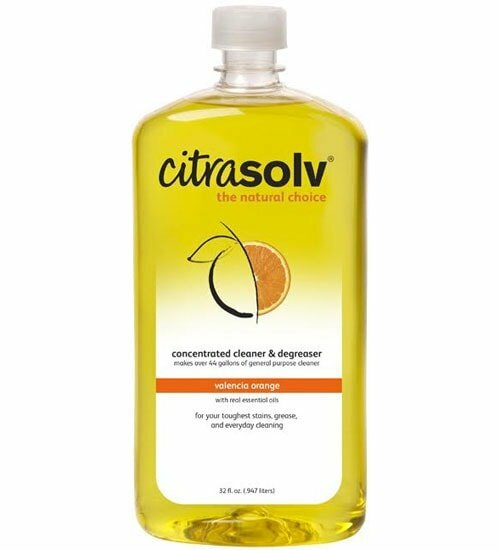 Use Citra-Solv full-strength for tough stains, or dilute with water to handle most of your household cleaning. Super concentrated. 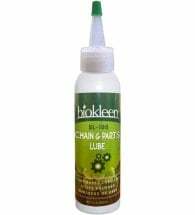 Quart (32 oz) concentrate makes up to 16 gallons. General: Mix 1 oz. with 16 oz. of water in a spray bottle. Heavy-Duty: Mix 1 oz. with 4 oz. of water in a spray bottle. Laundry Booster: Add 1 to 2 oz. to your laundry for extra cleaning power. 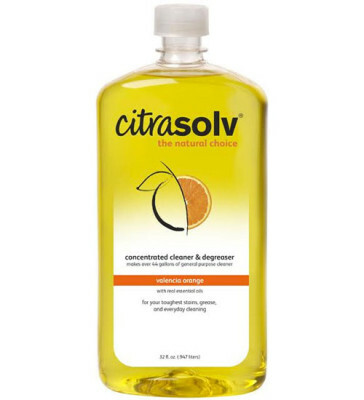 Ingredients: d-Limonene (orange peel extract), 5-fold orange oil and biodegradable cleaning agents (derived from coconut). NO dyes or perfumes.